Robert Jay Lifton (born May 16, 1926) is an American psychiatrist and author, chiefly known for his studies of the psychological causes and effects of war and political violence and for his theory of thought reform. He was an early proponent of the techniques of psychohistory. Lifton was born in 1926, in Brooklyn, New York, the son of Harold A. (a businessman) and Ciel (Roth) Lifton. He was fifteen when the United States declared war on Japan and Nazi Germany (December 1941). In 1942, he enrolled at Cornell University at the age of 16 and was admitted to New York Medical College in 1944, graduating in 1948. He interned at the Jewish Hospital of Brooklyn in 1948-49, and had his psychiatric residence training at the Downstate Medical Center, Brooklyn, New York in 1949-51. From 1951 to 1953 he served as an Air Force psychiatrist in Japan and Korea, to which he later attributed his interest in war and politics. He has since worked as a teacher and researcher at the Washington School of Psychiatry, Harvard University, and the John Jay College of Criminal Justice, where he helped to found the Center for the Study of Human Violence. He married the children's writer Betty Jean Kirschner in 1952 and has two children. She died in Boston on November 19, 2010, from complications of pneumonia. Lifton calls cartooning his avocation; he has published two books of humorous cartoons about birds. He is a member of Collegium International, an organization of leaders with political, scientific, and ethical expertise whose goal is to provide new approaches in overcoming the obstacles in the way of a peaceful, socially just and an economically sustainable world. During the 1960s, Robert Jay Lifton, together with his mentor Erik Erikson and MIT historian Bruce Mazlish, formed a group to apply psychology and psychoanalysis to the study of history. Meetings were held at Lifton's home in Wellfleet, Massachusetts. The Wellfleet Psychohistory Group, as it became known, focused mainly on psychological motivations for war, terrorism and genocide in recent history. In 1965, they received sponsorship from the American Academy of Arts and Sciences to establish psychohistory as a separate field of study. A collection of research papers by the group was published in 1975: Explorations in Psychohistory: The Wellfleet Papers (see Bibliography; Lifton as editor). Lifton's work in this field was heavily influenced by Erikson's studies of Hitler and other political figures, as well as Sigmund Freud's concern with the mass social effects of deep-seated drives, particularly attitudes toward death. Beginning in 1953, Lifton interviewed American servicemen who had been prisoners of war (POWs) during the Korean War as well as priests and students or teachers who had been held in prison in China after 1951. In addition to interviews with 25 Americans and Europeans, Lifton interviewed 15 Chinese who had fled after having been subjected to indoctrination in Chinese universities. Lifton's 1961 book Thought Reform and the Psychology of Totalism: A Study of "Brainwashing" in China, based on this research, was a study of coercive techniques used in the People's Republic of China that he labelled "thought reform" or "brainwashing", though he preferred the former term. The term "thought-terminating cliché" was popularized in this book. Lifton found that when the POWs returned to the United States their thinking soon returned to normal, contrary to the popular image of "brainwashing." A 1989 reprint edition was published by University of North Carolina Press. Several of his books featured mental adaptations that people made in extreme wartime environments: Death in Life: Survivors of Hiroshima (1967), Home from the War: Vietnam Veterans—Neither Victims nor Executioners (1973), and The Nazi Doctors: Medical Killing and the Psychology of Genocide (1986). Regarding Hiroshima and Vietnam survivors or Nazi perpretators, Lifton believed that the psychic fragmentation experienced by his subjects was an extreme form of the pathologies that arise in peacetime life due to the pressures and fears of modern society. His studies of the behavior of people who had committed war crimes, both individually and in groups, concluded that while human nature is not innately cruel and only rare sociopaths can participate in atrocities without suffering lasting emotional harm, such crimes do not require any unusual degree of personal evil or mental illness, and are nearly sure to happen given certain conditions (either accidental or deliberately arranged) which Lifton called "atrocity-producing situations". The Nazi Doctors was the first in-depth study of how medical professionals rationalized their participation in the Holocaust, from the early stages of the T-4 Euthanasia Program to the extermination camps. In the Hiroshima and Vietnam studies, Lifton also concluded that the sense of personal disintegration many people experienced after witnessing death and destruction on a mass scale could ultimately lead to a new emotional resilience—but that without the proper support and counseling, most survivors would remain trapped in feelings of unreality and guilt. In her 2005 autobiography My Life So Far, Jane Fonda would come to describe Lifton's work with Vietnam veterans, along with that of fellow psychiatrists Drs. Leonard Neff, Shaim Shatan, and Sharah Haley, as "tireless and empathetic". Lifton was one of the first organizers of therapeutic discussion groups on this subject in which mental health practitioners met with veterans face-to-face, and he and Dr. Neff successfully lobbied for the inclusion of post-traumatic stress disorder in the Diagnostic and Statistical Manual of Mental Disorders (DSM). His book on Hiroshima survivors won the 1969 National Book Award in Science. Totalism, a word first used in Thought Reform, is Lifton's term for the characteristics of ideological movements and organizations that desire total control over human behavior and thought. Lifton's usage differs from theories of totalitarianism in that it can be applied to the ideology of groups that do not wield governmental power. In Lifton's opinion, though such attempts always fail, they follow a common pattern and cause predictable types of psychological damage in individuals and societies. He finds two common motives in totalistic movements: the fear and denial of death, channeled into violence against scapegoat groups that are made to represent a metaphorical threat to survival, and a reactionary fear of social change. In his later work, Lifton has focused on defining the type of change to which totalism is opposed, for which he coined the term the protean self. In the book of the same title, he states that the development of a "fluid and many-sided personality" is a positive trend in modern societies, and that mental health now requires "continuous exploration and personal experiment", which requires the growth of a purely relativist society that's willing to discard and diminish previously established cultures and traditions. Following his work with Hiroshima survivors, Lifton became a vocal opponent of nuclear weapons, arguing that nuclear strategy and warfighting doctrine made even mass genocide banal and conceivable. While not a strict pacifist, he has spoken against U.S. military actions in his lifetime, particularly the Vietnam War and Iraq War, believing that they arose from irrational and aggressive aspects of American politics motivated by fear. "What's happening there [in Bosnia] merits the use of the word genocide. There is an effort to systematically destroy an entire group. It's even been conceptualized by Serbian nationalists as so-called 'ethnic cleansing.' That term signifies mass killing, mass relocation, and that does constitute genocide." Lifton regards terrorism as an increasingly serious threat due to the proliferation of nuclear and chemical weapons and totalist ideologies. He has, however, criticized the current "War on Terrorism" as a misguided and dangerous attempt to "destroy all vulnerability". His 1999 book, Destroying the World to Save It, described the apocalyptic terrorist sect Aum Shinrikyo as a forerunner of "the new global terrorism". Lifton is featured in the 2003 documentary Flight From Death, a film that investigates the relationship of human violence to fear of death, as related to subconscious influences. 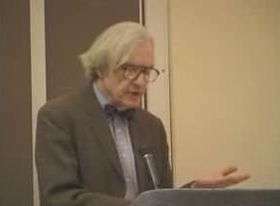 In 2006, Lifton appeared in a documentary on cults on the History Channel: "Decoding the Past", along with fellow psychiatrist Peter A. Olsson. On May 18, 2008 Lifton delivered the commencement address at Stonehill College and discussed the apparent "Superpower Syndrome" experienced by the United States in the modern era. Thought Reform and the Psychology of Totalism: A Study of "Brainwashing" in China. New York: Norton. 1961. ISBN 0-8078-4253-2. ; Reprinted, with a new preface: University of North Carolina Press, 1989 (Online at Internet Archive). Death in Life: Survivors of Hiroshima, Random House (New York City), 1968. Revolutionary Immortality: Mao Tse-Tung and the Chinese Cultural Revolution, Random House, 1968. Birds, Words, and Birds (cartoons), Random House, 1969. History and Human Survival: Essays on the Young and the Old, Survivors and the Dead, Peace and War, and on Contemporary Psychohistory, Random House, 1970. Boundaries, Canadian Broadcasting Corporation (Toronto), 1969, published as Boundaries: Psychological Man in Revolution, Random House, 1970. Home from the War: Vietnam Veterans—Neither Victims nor Executioners, Simon & Schuster (New York City), 1973. (With Eric Olson) Living and Dying, Praeger, 1974. The Life of the Self: Toward a New Psychology, Simon & Schuster, 1976. The Broken Connection: On Death and the Continuity of Life, Simon & Schuster, 1979. (With Richard A. Falk) Indefensible Weapons: The Political and Psychological Case against Nuclearism, Basic Books (New York City), 1982. The Nazi Doctors: Medical Killing and the Psychology of Genocide, Basic Books, August 2000( first edition 1986). The Future of Immortality and Other Essays for a Nuclear Age, Basic Books, 1987. (With Eric Markusen) The Genocidal Mentality: Nazi Holocaust and Nuclear Threat, Basic Books, 1990. The Protean Self: Human Resilience in an Age of Fragmentation, Basic Books, 1993. (With Greg Mitchell) Hiroshima in America: Fifty Years of Denial, Putnam's (New York City), 1995. Destroying the World to Save It: Aum Shinrikyo, Apocalyptic Violence, and the New Global Terrorism, Owl Books, 2000. (With Greg Mitchell) Who Owns Death? Capital Punishment, the American Conscience, and the End of Executions, Morrow, 2000. Superpower Syndrome: America's Apocalyptic Confrontation With the World, Nation Books, 2003. (With Jacob D. Lindy)Beyond Invisible Walls: The Psychological Legacy of Soviet Trauma, East European Therapists and Their Patients, Edwards Brothers (Lillington, NC), 2001. The Woman in America, Houghton (Boston), 1965. America and the Asian Revolutions, Trans-Action Books, 1970, second edition, 1973. (With Richard A. Falk and Gabriel Kolko) Crimes of War: A Legal, Political-Documentary, and Psychological Inquiry into the Responsibilities of Leaders, Citizens, and Soldiers for Criminal Acts of War, Random House, 1971. (With Eric Olson) Explorations in Psychohistory: The Wellfleet Papers, Simon & Schuster, 1975. (With Eric Chivian, Susanna Chivian, and John E. Mack) Last Aid: The Medical Dimensions of Nuclear War, W. H. Freeman, 1982. (With Nicholas Humphrey) In a Dark Time: Images for Survival, Harvard University Press, 1984. ↑ Lifton, Robert J. (April 1954). "Home by Ship: Reaction Patterns of American Prisoners of War Repatriated from North Korea". American Journal of Psychiatry. 110 (10): 732–739. doi:10.1176/appi.ajp.110.10.732. PMID 13138750. Retrieved 2008-03-30. ↑ Lifton, Robert Jay. "UNC Press – Thought Reform and the Psychology of Totalism". Uncpress.unc.edu. Retrieved 2013-09-29. ↑ Jane Fonda (5 April 2005). My Life So Far (with Bonus Content). Random House. p. 349. ISBN 978-1-58836-478-4. Retrieved 9 September 2013. ↑ "National Book Awards – 1969". National Book Foundation. Retrieved 2012-03-05. ↑ Toledo Blade, "Slavic Horror Termed Genocide" 28 February 1993. ↑ http://www.stonehill.edu/media_relations/articles/051808_themes_of_commencement.htm Archived May 28, 2008, at the Wayback Machine. Superpower Syndrome articles. Robert Jay Lifton on superpower syndrome, TomDispatch, 2006. Hiroshima and the World: The Wisdom of Survivors article in the Chugoku Shimbun. Flight From Death. Robert Jay Lifton is interviewed in this documentary film.